Token-funded blockchain project Tron is not only hiring while others cut staff, it’s recruiting an entourage for its founder. 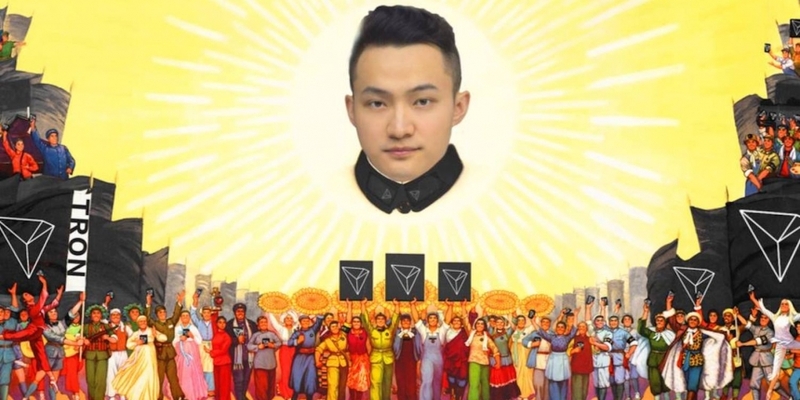 Among the 10 open positions that Tron Group, the company behind the namesake cryptocurrency, posted on Wednesday, two were for aides to the 28-year-old CEO, Justin Sun. These hires would supplement the personal assistant he already has. One of the jobs Tron is looking to fill is a senior executive assistant to the CEO, who would work with Sun’s personal assistant, mentoring the latter and making sure his scheduling is done properly. A college diploma is not required, but a “24/7 mindset” is, according to the job postings on LinkedIn and JobVite. The candidate must speak and write in Mandarin fluently. (Sun is from China, and relocated Tron’s headquarters to the U.S.) For this job, a bachelor’s degree is required. Neither job posting indicated what the salary would be. “Virtually every CEO under the sun, and certainly everyone I’ve worked with, has had an executive assistant,” he said by email. Neil Dundon, a professional recruiter specializing in the crypto space, told CoinDesk that hiring multiple assistants for a corporate leader is a normal practice for large enterprises, but unusual for crypto startups. While these hires might sound like cushy perks for a young startup founder, they are especially notable in light of recent retrenchment by other projects and firms in a prolonged crypto bear market. Token projects Nebulas and BlockEx, ethereum studio ConsenSys and mining giant Bitmain are among those that have made significant staff reductions. Further, Tron may have reason to feel flush these days. Its native token has nearly doubled in value since the beginning of December, from $0.015 to $0.027 Thursday morning, according to CoinMarketCap. The token’s market capitalization totals about $1.8 billion, ranking ninth among all cryptocurrencies. And to be sure, Tron is also looking to fill technical and business positions, not just handlers for Sun. Other job openings posted Wednesday include two translators from Mandarin to English “for daily communication with the China team,” three blockchain engineers of different levels, a technical recruiter, an engineering manager and a business development manager to build a developer community. According to Edwards, Tron’s current staff in the U.S. is about 90 people, and the startup is planning to hire five to ten more in the first quarter of 2019. Tron raised $70 million during an ICO in 2017, though it later returned some of those funds to Chinese investors after China banned token sales. This past summer, Tron bought BitTorrent with the hope of boosting adoption of its blockchain with the file sharing service’s huge base of 100 million active users. The acquisition was controversial, prompting an employee exodus from BitTorrent. The file-sharing system’s creator, Bram Cohen, recently disavowed any connection with Tron or Sun. Tron recently announced launching BitTorrent’s own token BTT, which can be used to incentivize users to share their bandwidth more actively for faster file exchanges. The job descriptions posted Thursday don’t mention BitTorrent or BTT. Tron has also been criticized for its marketing tactics. 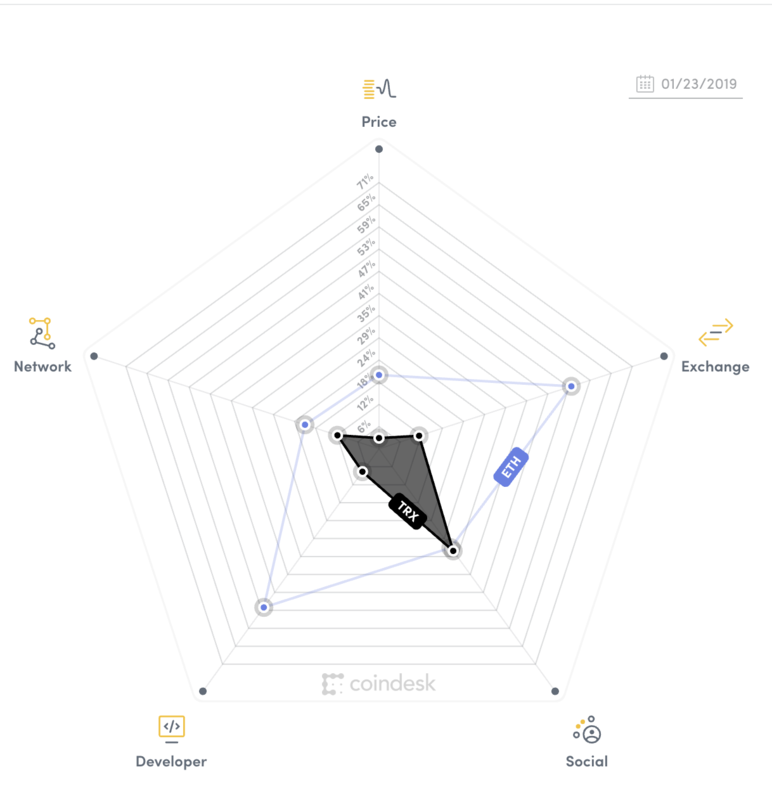 According to CoinDesk’s Crypto-Economics Explorer, social media activity around the native TRON token is 33% that of market bellwether bitcoin, compared to just 7.5% of developer activity.